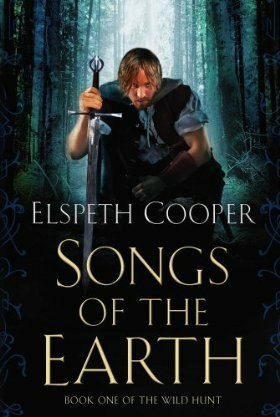 Songs of the Earth is a debut novel by Elspeth Cooper and the first book in the Wild Hunt trilogy. While it was released in the UK last year, it was only just released in the US the end of last month where it is available in hardcover and ebook. The next book, Trinity Moon, is scheduled for publication in the UK in July. The Dragon House will conclude the trilogy. It’s rather difficult to sum up the plot of Songs of the Earth because it is the first book in a trilogy and it does seem to largely be setting up the next books by introducing the characters, the world, and the threats involved. It’s not until close to the end that main character’s purpose becomes apparent, and that makes it really hard to discuss key plot points without spoilers, but I will attempt it. The first chapter of Songs of the Earth introduces Gair, a novice Knight of the Order imprisoned for the crime of practicing magic. After months of torture and questioning, Gair is brought before the Order for judgment and has no hope for mercy. The holy book of Eador states, “Suffer ye not the life of a witch” and those following the Eadorian religion take this tenet very seriously. Gair is found guilty of witchcraft, and the sentence is death by burning. To the surprise of everyone, it is then announced that Gair’s life will be spared due to exhibiting good conduct prior to being exposed as a witch. Instead of death, Gair will be branded with the mark of witchcraft, excommunicated from the faith, and banished from the Order. He must receive this mark and be outside the boundaries of the Order by sundown, a difficult task considering his weakened state after his long imprisonment. Luckily for Gair, he is found by a man named Alderan, who was sent to help him. With the help of Alderan, Gair manages to escape the border and the pursuit of a witchfinder. Over the course of their time together, Alderan claims to be a scholar, but he has a lot of knowledge of what Gair has been through with his magic, including his ability to hear the music. Alderan says there are others just like Gair who can hear the songs of the earth and do magic, and there was a time when they would not have been persecuted but respected for this. He may be able to introduce Gair to some, and Gair is eager to learn how to control his powers so he no longer has to fear them. Songs of the Earth is a competently written debut, and I think both the author and the series have potential. Taken as a single book, I did think the novel itself was rather mediocre since the pacing, storytelling, and main character all could have been much better, though. In spite of my misgivings, I wouldn’t be at all surprised if the next two books were indeed better than this one due to the way this ended. This book does have some good points, especially that it is well-written. It doesn’t have particularly flowery language, but it gets the point across clearly and does have some rather unique descriptions. The writing and dialogue flow smoothly, and I think these are some of the best parts of the novel. Songs of the Earth also has both a strong opening and a strong ending. The beginning, focusing on Gair’s sentencing for practicing witchcraft and Alderan’s mysterious appearance, is quite compelling. There is an immediate reason to have sympathy for Gair, as someone who is unfairly treated for an ability he cannot help, as well as a good reason to want to see Gair succeed in his escape. The small bits of Alderan’s perspective also add an air of mystery of who he really is and who sent him to help Gair. Likewise, the ending is quite impressive and means some big changes for Gair, who should be facing some interesting challenges in the rest of the trilogy. However, the middle is rather uneven, and it is not helped by the lack of both originality and a compelling main protagonist. While there is some time spent with some other characters, most of the book is focused on Gair – first his escape from the Order and witchfinders, then his time spent learning magic. As a main character, Gair was rather bland and typical fantasy protagonist fare. He’s one of those characters who is the best at everything, whether that’s magic or fighting or attracting the ladies. The only person who doesn’t seem to like him is jealous of the fact that he’s better than he is. Gair is very nearly flawless, showing great strength of character as well. During his sentencing, Gair is strong and unbreakable, and he seems to get over what was done to him remarkably quickly. (To be fair, there did seem to be a lot of time spent traveling immediately following Gair’s release that was glazed over, but I would still think being imprisoned, questioned, and marked as a witch would have a longer-lasting, larger impact on him than it seemed to.) Despite his amazing aptitude for both magic and sword-fighting, Gair is very humble and tries to hide some of his rarer abilities from the other students. The only real flaws I can think of that Gair had was that he lost his temper once and he broke a school rule, but neither of these happened under circumstances that made him seem particularly flawed. Gair is a character who seemed too good to be true, and he didn’t have enough qualities that made him seem human and realistic. There is definitely potential for Gair to become more interesting in the next book given that the game changed significantly for him at the end. In this book, Gair was very much a generic sort of character who was hard to sympathize with or relate to after the beginning of the book. In contrast, some of the other characters were much more original and varied, particularly Ansel. Ansel is the Preceptor of the Order whose health is failing, and he spends all his spare time trying to find the answers to some questions about the Order’s past. I’d also be interested in learning more about Alderan himself and Masen, the gatekeeper. Like the main character, the plot was also somewhat conventional. There are religious orders that persecute what they fear, a mysterious history, and veils between worlds that are breaking down. The religious aspects seemed very heavily borrowed from Catholicism to the point where it’s hard to think of it as being a separate religion in a completely different world. I think if I’d read this book many years ago, it would have appealed to me much more for the parts dealing with religious persecution, knowledge as power, and history being rewritten. As it is, I’ve seen these done many times before so it needs to bring something new to the story to really capture my attention, whether that’s characters I can get involved with or a story that sweeps me away. This book failed to do either of those consistently. 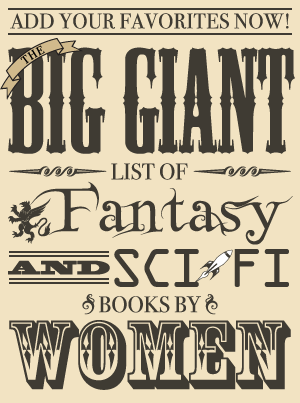 There were times I found myself eager to read on, but there were just as many times when I was bored by the story so it ended up evening out so I thought it was an average novel. Overall, I thought Songs of the Earth was a rather flawed book, but the series has potential if the issues with pacing and characterization can be worked out. It had a strong opening and ending, but the middle was rather unevenly paced with a lot of familiar elements that didn’t have enough spark to make the book stand out. The writing was decent, but considering the rather dull main character and a storyline that couldn’t always maintain my interest, I ended up feeling like on its own The Songs of the Earth is all right. I can’t say I enjoyed it, but I can’t say I didn’t like it, either.